Already I’m nostalgic about this trip, and it isn’t even entirely over. Patrick calls me “pre-sentimentalist.” One small thing I’ve enjoyed is when I’m listening to Talk of the Nation or Car Talk or some other radio show where people call up to say, “I’m Ellen from Magnolia, Arkansas.” Or, “This is Chris from Albuquerque.” “Jenny from Staunton, Virginia.” And we’ve been there. All these places, these small large sleepy urban ramshackle hipster remote towns we’ve seen. I feel like the whole country is mine now. There were so many correct answers to our final WWWW – trusty Random.org chose our winner – congrats to Chris! 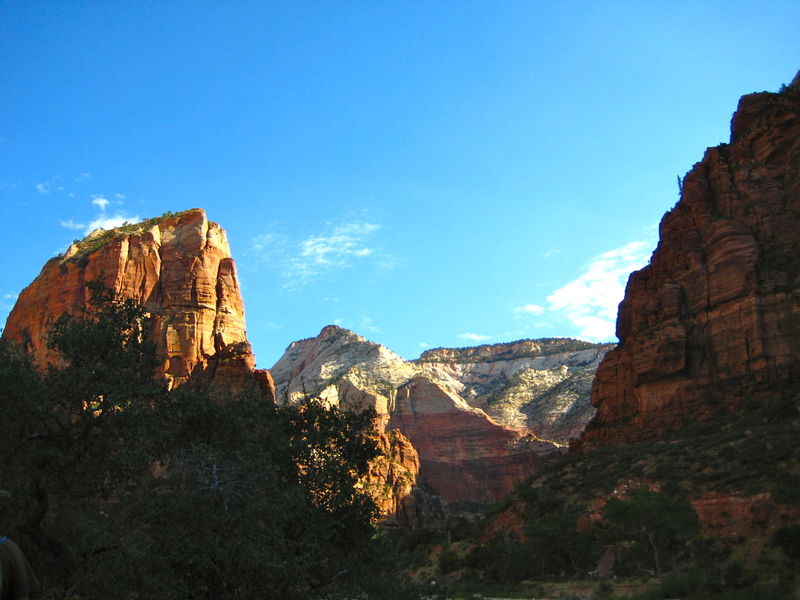 This photo was taken in Zion. And thank you to everyone who has followed along and played each week. This entry was posted in Where Were We Wednesdays and tagged adventure, wwww by Propane Kitchen. Bookmark the permalink.